We listened to you and we’re delivering. 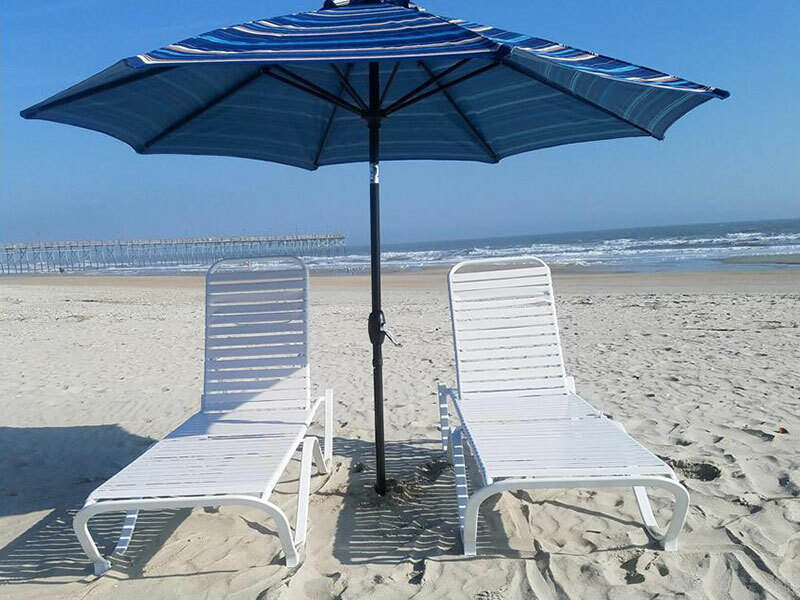 Come to the beach and find awaiting you 2 commercial grade strap loungers and a 9 foot market umbrella for lots of shade for your day at the beach. Inventory is extremely limited and these can only be purchased in ‘sets’. NO additional chairs or umbrellas, set’s only. FOR OCEAN ISLE BEACH ONLY.